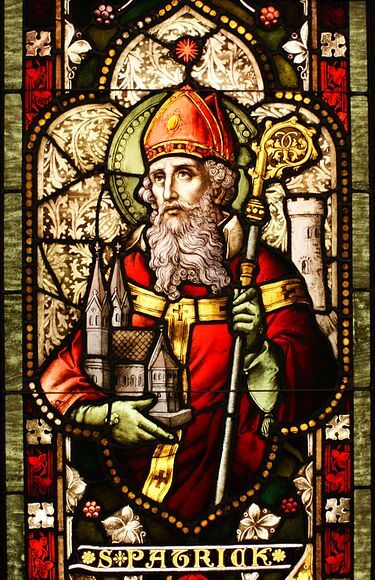 St. Patrick died on this day in 461, in Saul, Ireland. Today is his Feast Day. Patrick was born in Scotland sometime around 385 AD to Roman parents, Calpurnius and Conchessa. When he was about 14 he was kidnapped by a raiding party and taken to Ireland to work as a slave. There he tended sheep. Once home he had another dream that called him back to Ireland to teach the people about God. He studied to become a priest and eventually be came a Bishop. At 48 he was sent to Ireland. His ability to connect with the people on a personal level helped him win over hundreds of thousands of converts from peasants to tribal kings. 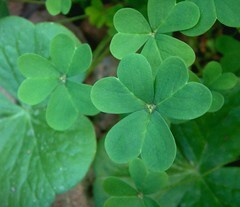 He is, perhaps, most famously known for using the common shamrock [NOT THE 4-LEAF CLOVER] to explain the Holy Trinity. Mythology has Patrick “bringing Christianity to Ireland,” but the Church was already there. He expanded it and made it more appealing to the Irish. He’s also suppose to have “driven the snakes out of Ireland.” Another myth. There weren’t any snakes in Ireland to drive out. may the word of God direct us. Be always ours this day and for evermore. 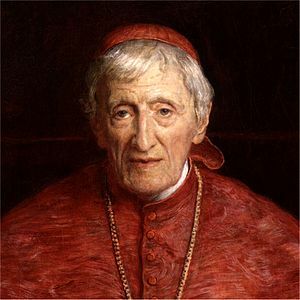 John Henry Newman was born on this day in London, England in 1801. Today is the 212th anniversary of his birth. Newman was the oldest of six children, three boys and three girls, born to John Newman and Jemima Fourdrinier Newman. He went to Trinity College, Oxford then attended Oriel College. He received his bachelor’s degree from Oriel in 1820 and became a fellow then tutor at the school. He was a leader in the Oxford Movement — a “19th-century movement centred at the University of Oxford that sought a renewal of “catholic,” or Roman Catholic, thought and practice within the Church of England in opposition to the Protestant tendencies of the church.” [Encyclopedia Britannica] . 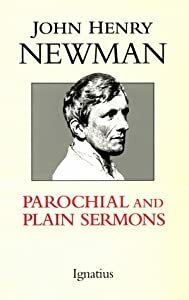 However, “In 1839, Newman began to lose confidence in the cause… and he soon became convinced that Rome, not Canterbury, was the home of the true Church.” [Ibid] He withdrew from Anglican life and left Oxford. He took back anti Catholic and anti Papal statements he’d said and written in his youth. In 1845 he converted to Catholicism and became a preist. Cardinal Newman died of pneumonia in August of 1890.